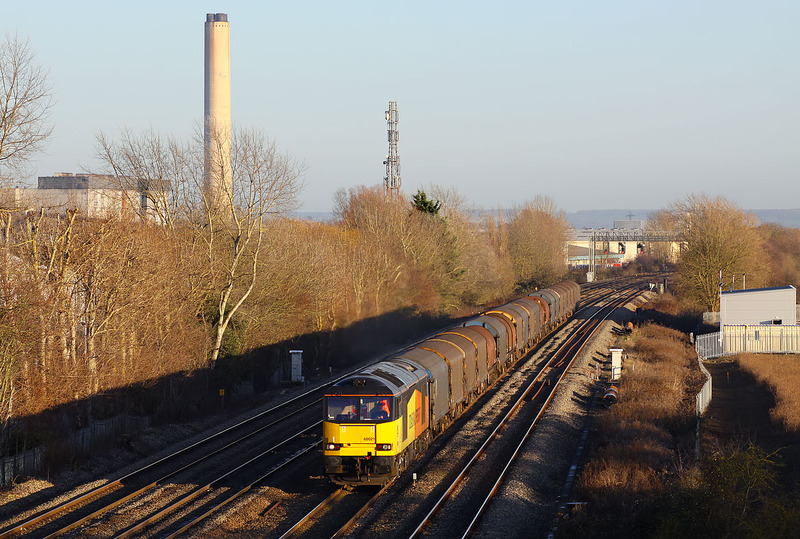 The shadows are lengthening at Milton on 13 December 2014, as 60021 heads westwards with the 6V62 11:20 Tilbury Riverside to Llanwern steel empties. This makes an interesting comparison with the same train photographed here nine months earlier (albeit on that occasion on the relief line). Some rather prominent structures have disappeared from the background!